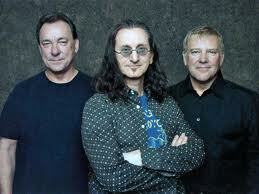 Rush: New book The Art Of Rush to be published. "The Art Of Rush" is a 272-page coffee table book that delves into the 40-year relationship with RUSH and their longtime artist and illustrator Hugh Syme. The stunning book begins with a foreword penned by Neil Peart, and contains original illustrations, paintings, photography, and the incredible stories behind each album that he has designed with the band since 1975. The book's narration was written by music journalist Stephen Humphries and includes in-depth interviews with each RUSH bandmember — Geddy Lee, Alex Lifeson, Neil Peart — and artist Hugh Syme. "The Art Of Rush" also contains entertaining anecdotes and commentary from a wide array of notable musicians, actors, athletes, writers, radio personalities and RUSH insiders about their favorite RUSH album covers, which clearly reveals how vital and impactful the visual representation of their music has been through the years. One of the hallmark's of RUSH releases is the considerable care and consideration that goes into each one — including the conceptual artwork. Readers of "The Art Of Rush" may be surprised to discover just how much effort went into each concept and the execution for every album cover. In the days before Photoshop, each element of the artwork had to be handcrafted and pieced together. Take the gatefold for "Hold Your Fire", for example; Hugh first constructed a miniature set of a city street and then super-imposed a picture of a fireball juggler on it. It's akin to what the Hollywood special effects studio used to do. Nowadays, of course, Hugh utilizes digital technology to create RUSH's art. But, as Neil Peart adds, "the tools got easier, but the thinking doesn't." Some of the regaled stories include furtively crossing the border for a guerilla-style shoot for "A Farewell To Kings", trying to herd a warren of rabbits for the cover of "Presto", descending into the depths of an autopsy lab to find a brain for "Hemispheres", building a pool inside Hugh's studio for "Test For Echo", and a stunt involving fire, whiskey and photographer Deborah Samuel for "Moving Pictures". But no history of the band's art would be complete without the story of the creation of arguably the band's most iconic image, The Starman, and cover art for "2112". "From the first time Hugh and I met, we shared a level of communication that would sustain us through all the years of discussing art by long distance. We had the same values and tastes in images and design, and simply spoke the same language. That's why I off-handedly referred to him one time as 'serving a life sentence as my art director,'" said drummer and lyricist Neil Peart, who has worked with Hugh on the art for every project RUSH has released. The pre-order for "The Art Of Rush" book will begin on Friday, March 27 at 10 a.m. ET at RushBackstage.com.